Canadian home prices continued their upward trajectory in March despite a large decline in the number of homes sold, the Canadian Real Estate Association said Monday. The number of sales recorded on the group’s MLS system declined by 15.3 per cent in March 2013 compared with the same month a year earlier. Yet despite that drop-off, prices inched higher. 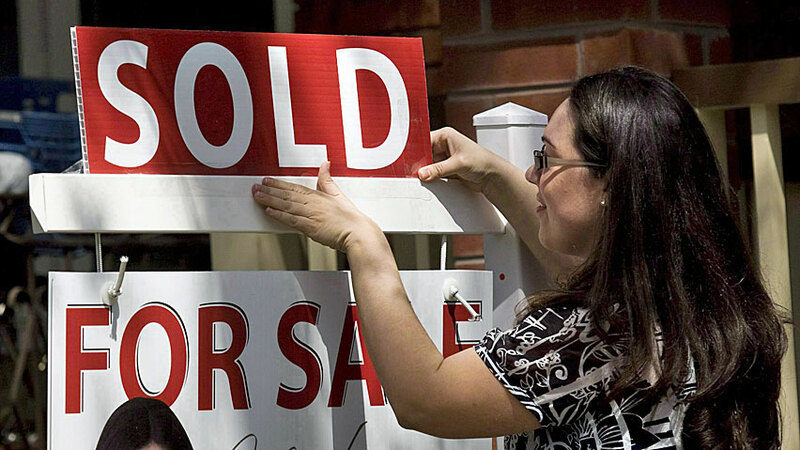 The average price of a Canadian resale home was $378,532 in March, up 2.5 per cent from a year earlier. “The factors that crimped March sales this year were not in play for the same month last year, resulting in speculation that the gap between sales activity this March and March of last year would be bigger than it was in February,” CREA’s chief economist Gregory Klump said. Fewer sales in the huge Vancouver and Toronto housing markets continue to exert a downward pull on the national average sale price, but price gains in Calgary and Edmonton are increasingly putting upward pressure on the national average, the agency said. If you take Vancouver and Toronto out of the equation, the national average price would have been 4.3 per cent higher. But if you strip out Calgary and Edmonton, it would have been only 1.9 per cent.